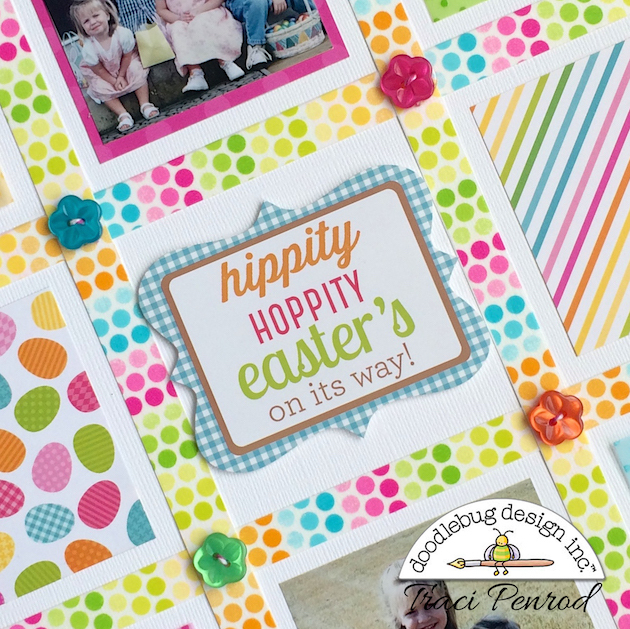 Hi everyone, it's Traci and I'm excited to be back to share an Easter Parade layout with you. I just love Doodlebug's cute washi tape, so I decided to layer it over white card stock and cut out 4 strips (you could also just stick the washi tape directly on to your white background). 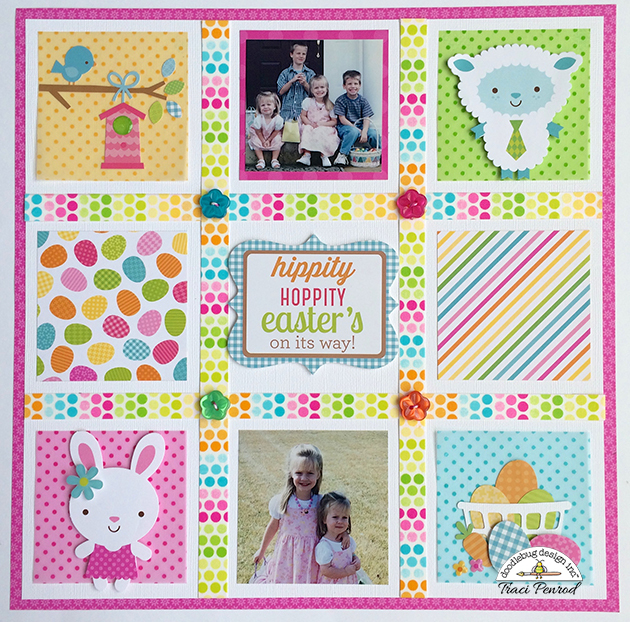 I then positioned my strips in a tic-tac-toe fashion and had tons of fun filling up each little square with Doodlebug cuteness! This is fabulous Traci!! LOVE the grid with all the cute little scenes! LOVE your grid design and how you decorated each pretty window!!! OMG Your Layout is so precious....your photos are as cute and sweet as can be. Love all the beautiful colors and paper. 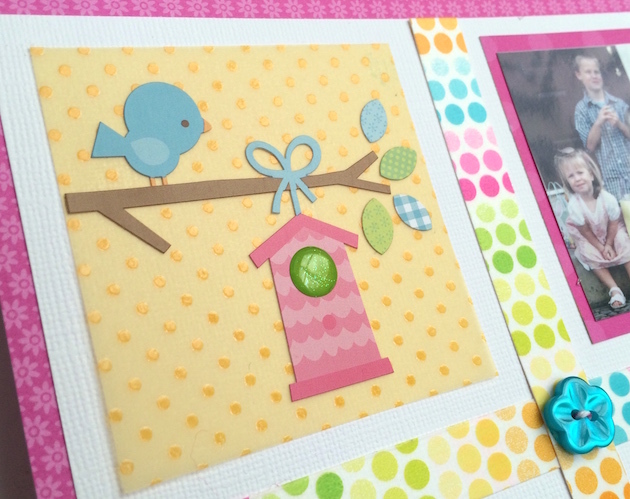 Super cute embellishing ideas. You did one outstanding creative job! Super cute - love the use of the sprinkles vellum and how clever this is!! 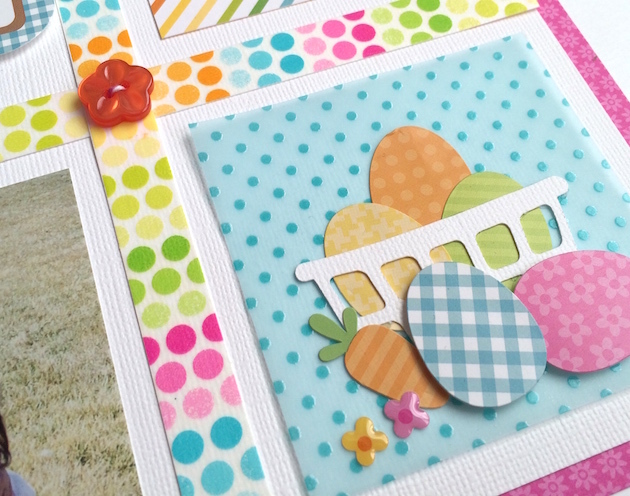 What a fun idea to use the washi tape as a grid maker!!! Doodlebug, not only do your products rock but your designers DO TOO!! !